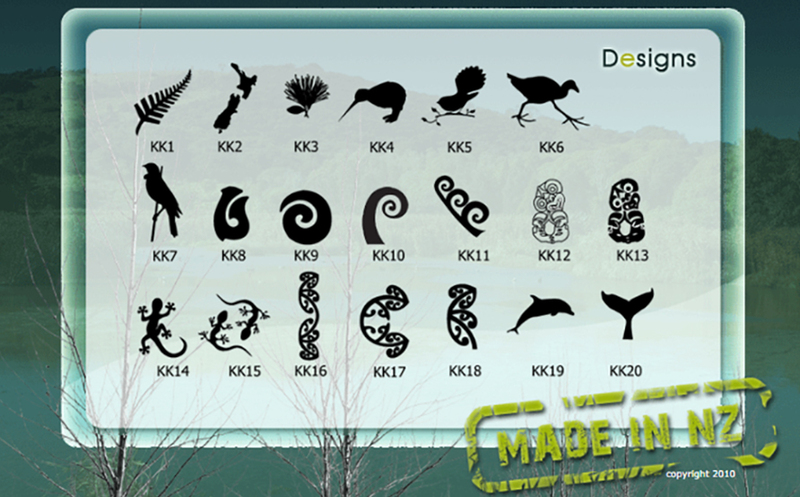 We specialise in producing quality New Zealand made products and designs. Our products are made with exceptional precision using a laser cutting and engraving machine that produces flawless results everytime. We work with a number of different materials, including wood, leather and perspex, in order to provide a range of creative, captivating gifts and souvenirs. Whether it is our iconic wooden coasters or striking wooden photo albums, there is bound to be something that grabs your eye in our stunning product line. If we don’t quite have the image you want, or you would like a more personalised look, then we can work with any image that you supply to create exactly what you want. Visit the products section below to see the range of items available and the images page to see the designs that are currently available to be cut or engraved in any of the products. 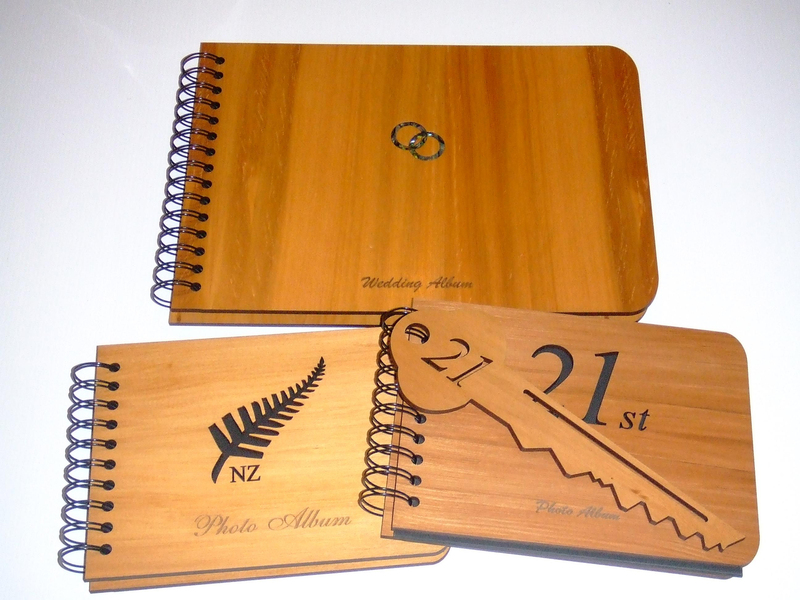 Wooden Cover Notebooks A range of wooden cover notebooks that any image can be cut or etched on. Perfect as a presentation or corporate gift. Small – Fliptop 150 x 90mm – 100 pages. Medium – A6 105 x 150mm – 100 pages. Large – A5 150 x 205mm – 100 pages. Attractively packaged in a black cardboard box with a clear plastic lid. Wooden and Genuine Leather Bookmarks Wooden bookmarks etched with any image. 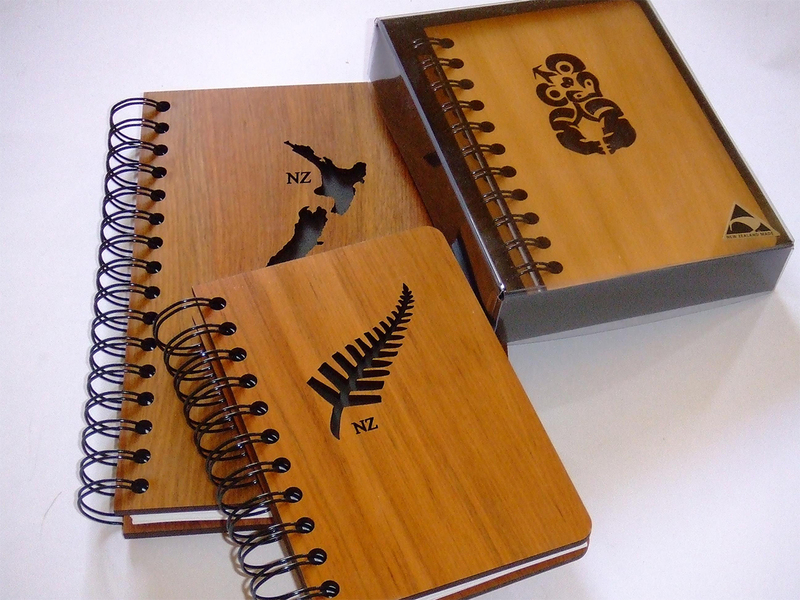 Leather magnetic bookmarks foiled with an iconic silver fern image. Packaged individually. Leather bookmarks are available in black only with Silver Fern. 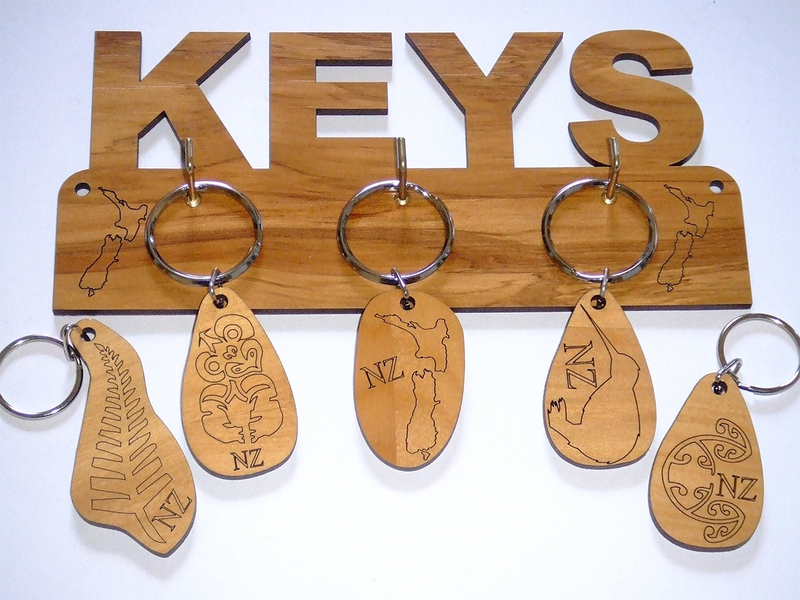 Wooden Key Rings and Holder Wooden key rings etched with a range of New Zealand images. Also available is a wooden key ring holder. 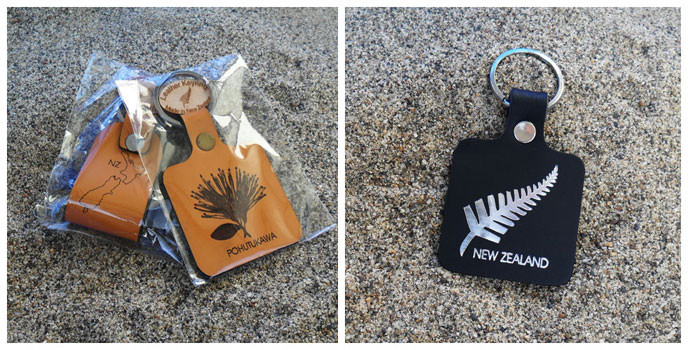 Key rings are packaged loose, a display basket is supplied free with wholesale orders of 40 or more. 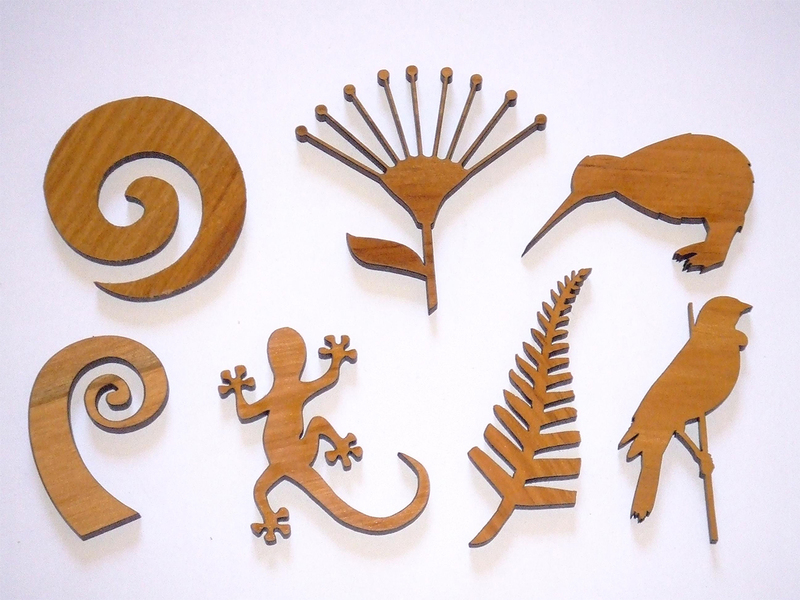 Wooden Magnets A range of iconic New Zealand images as a fridge magnet. The magnets are packaged individually with a free display basket for wholesale orders of 40 or more. Wooden and Genuine Leather Coasters Quality wooden and genuine leather coasters. 2 Coasters packaged in a plastic pack. 4 Coasters packaged in a black cardboard box with clear plastic lid. 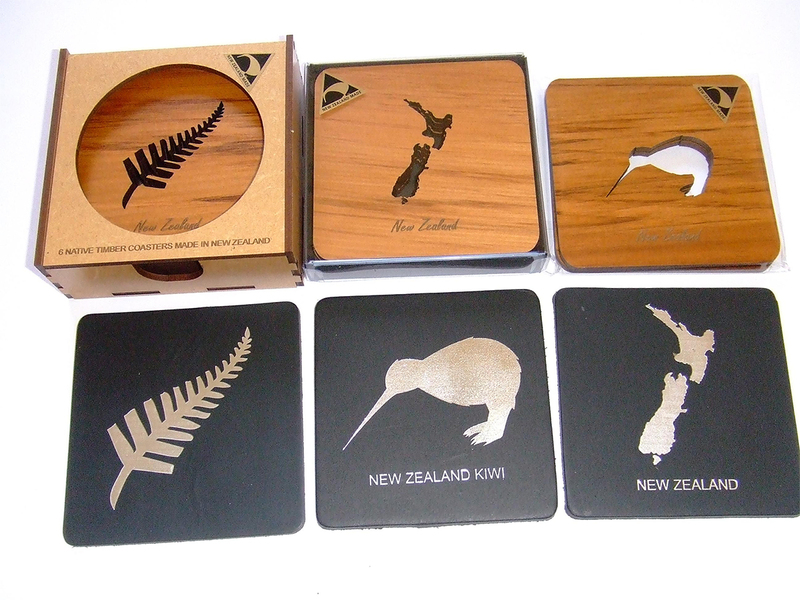 6 Coasters packaged in a attractive wooden box. Any image can be etched or cut out on the wooden coasters. The leather coasters come with 3 images available in a silver, red or gold colour. Black is the standard leather colour but additional colours are available on request (Tan, Red, Green). Wooden Cover Albums A wide range of A5 and A4 wooden cover albums, available with any image /words etched or cut out on them. Photo albums (25 acid free pages), guest / visitor books (lined visitor pages) and special occasion albums, all with optional paua inserts. Any album can be supplied with a mix of photo and guest pages for that extra special occasion. For our range of birthday “aged” albums, the 21st album comes with an optional wooden key. 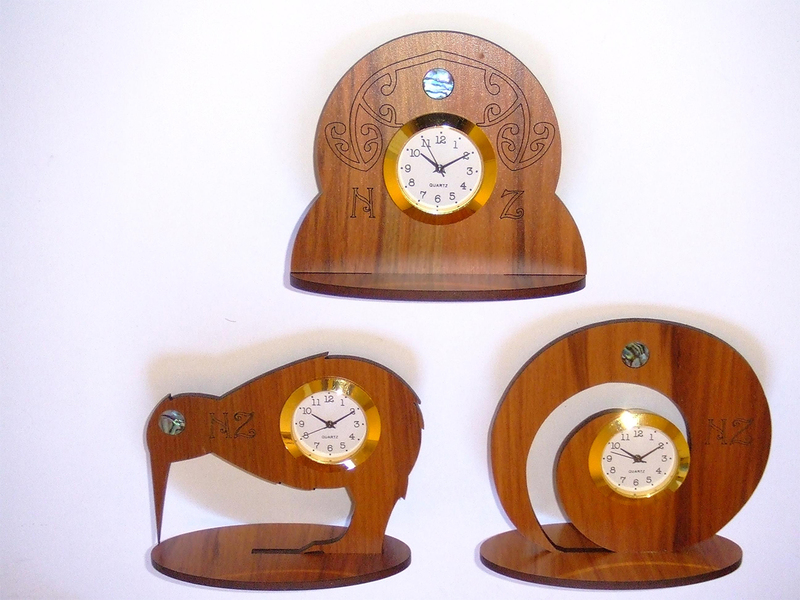 Wooden Clocks A beautiful range of kiwiana inspired clocks. Packaged flat, perfect for the visitor who wants to take something extra special home with them. © Kompletely Kiwi 2018. All rights reserved.